On Monday evening I pulled my cards ready for this match, and have left them out on my worktop in the study. 20 minutes in at the time of writing. I am looking at them now. England’s cards: 2 Clubs, 4 Clubs, 2 Diamonds, Queen of Hearts, Queen of Diamonds. Croatia’s cards: 6 Hearts, 8 Clubs, 4 Spades, 10 Clubs, 9 Clubs. Tough one. Croatia look solid. All those sporting Clubs cards. England better be careful , or rather, better be bold, they have the better cards, but by heck, not by much, and must stay FAST. Clean, lean and very mean. Diamonds is electricity. Lightning strikes. Why did I draw the Queen of Diamonds? Why a Queen, in the cards for England’s performance tonight? It’s not classically known as a sporting card. I wondered about number correlations. Jacks are elevens, Kings are thirteens. Queens correlate to the number 12. All I could think looking at the cards, was that a player wearing shirt 12 might be especially significant for England during this match. ‘OK, well, just watch out for a player with 12 on his shirt,’ I said. But I hear a roar. England have scored, and Il Matrimonio has just shouted through that the striker was Kieran Trippier…and within the first few minutes….wearing the Number 12 shirt. I have been looking in my cards about England in the World Cup. Of course I have, but everyone has an opinion, and listening to the growling and snarling coming out of the Man den in recent weeks, I sometimes feel it’s more than my life’s worth to share the findings even with my own spouse, Il Matrimonio (who will very likely see this) let alone risk it with a wider readership. It’s the same with anything political, especially Brexit related. The conversation becomes too toxic, who needs it, but I do look, of course. It’s far too important a matter for me not to, and, it’s yes, it’s still going ahead, so far as I can see, looking at it again this morning. Whether the reader gets it right or wrong, you might not like the answer. Don’t shoot the messenger. Tiberius used to have them thrown off the cliffs. He threw them off if they got it wrong. Sometimes he threw them off when they got it right but he didn’t like the answer. This soothsaying stuff has always had its perils. I was watching The Hotel Inspector last night when Il Matrimonio came in, informing me that it was half time, England 1- Colombia 1, and did I have a feeling as to who was going to win? No I didn’t. I was tired. I wasn’t feeling it. I would have to look. He disappeared into the kitchen to put the kettle on, and I reached for my nearest cards, a deck of ordinary playing cards. This was the process. Shuffle, shuffle, shuffle, while asking aloud, show me England. Will they win this match tonight against Colombia? Repeat the question aloud x 3 or even x 6. Pull ONE card. Just one. Il Matrimonio came through with his mug of whatever. England draws the 7 of Diamonds. Colombia draws the 5 of Clubs. 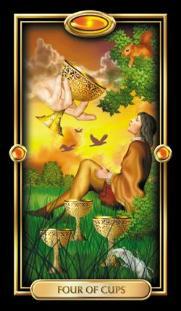 In terms of the traditional interpretations, you can see for yourself both cards are positive. This is a well matched performance but England has drawn the better card. Diamonds are swift. So are Clubs but they are the second swiftest suit. Diamonds is the swiftest. England look likely to win on their speed of attack in the end. England have drawn a number 7 card, Colombia draw a number 5 and 7 is higher so it trumps a 5. The match, as we now know, went into extra time and penalties, emotionally exhausting even to watch. You gather that I had by now switched over from The Hotel Inspector. Sorry, Alex Pollizi. England won on penalties, breaking a long running streak of unlucky penalty shoot-outs that had become a chimera of the national psyche, something of a national hex. Don’t tell me tribal magic is dead in the twenty- first century. Do not. You only have to watch the crowd, faces painted, sporting wigs in their team colours, hurling their wishes and curses and mojo- power at the pitch. This is nothing if not sympathetic magic in action. Me too. I pointed runes at the screen during the penalty shoot-out. The runes for our lot were TIWAZ (victory won in fair fight) and WUNJO (joy) and the runes for the opposition were…well that would be telling. Penalties Colombia -3, England -4. Please. Give a girl a break. Author Katie-EllenPosted on July 4, 2018 Categories cartomancy, divination, Fortean, Litopia, Lytham St Annes, psychic, tarot, UncategorizedTags Kapherus, Numerology, predictions, World cupLeave a comment on Cards Shout- Out, Penalty Shoot-Out. Timing with Tarot. The cards say when …? People often ask about timing, when will this or that happen. Naturally they do. If and When are the perennial questions, and the Tarot reader has various means and methods for having a pretty reasonable stab at it. 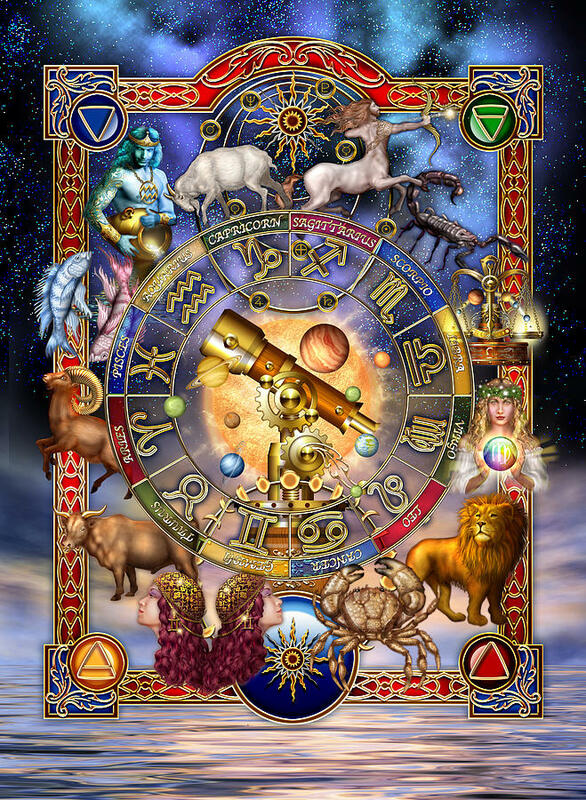 Zodiac knowledge is a huge help here. Tarot is not astrology, but it contains many astrological archetypes, correlations and references, and they walk and breathe alive in us. 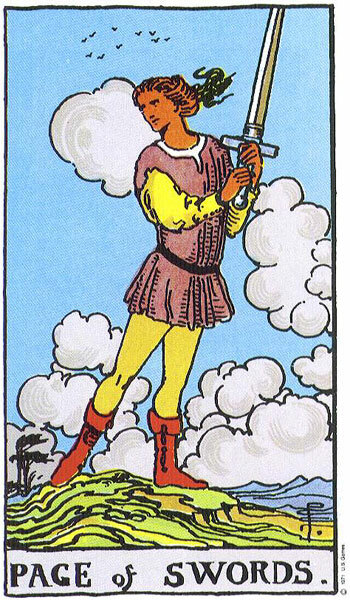 The 22 Major Arcana cards include 12 ‘planetary cards’. Drawing one of these helps the reader have a pretty decent stab at predicting in which month a future event may occur…assuming that is, that the event seems likely to occur. It is usually pretty reliable. Poor Il Matrimonio was waiting for a call from the hospital. His mother passed away, 18 October, peacefully in hospital, a stroke aged 92, and he was waiting for the hospital down in Ashford to issue the medical certificate of death, when he would be making the drive down again from Lancashire to collect it, and go to see the registrar. He went down, and the hospital indicated the medical certificate of death would not be issued, available for collection before sometime the following week, Monday, Tuesday or Wednesday. The death could not be registered before then, and he ran other necessary errands and came back. It is a 5 hour drive if conditions are good, Il Matrimonio would be staying away overnight, and he expected to be going down again on Monday evening, collecting the medical certificate on Tuesday. But I drew the Tower card and said, no, I thought he would go on Tuesday evening, collecting the medical certificate on Wednesday. 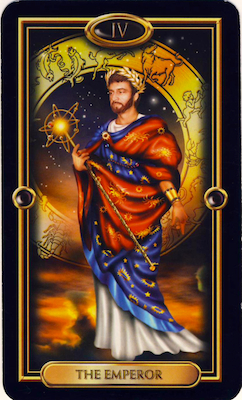 Image from The Golden Tarot by Kat Black, permission of US Games Systems. Why did I think Tuesday, and not Monday? 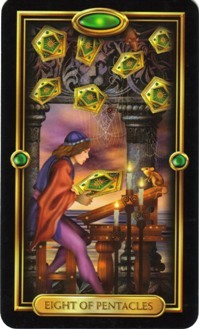 When reading the cards for this purpose, you focus only on the time meanings. You discount the usual meanings, although as it happens, The Tower can indeed, amongst many other things, many not pleasant, indicate a stroke, although this one, happily, could not have been more merciful. Il Matrimonio spoke with the hospital on Tuesday morning, was told the medical certificate had just that moment come in to the office, and he went down that evening, and collected the certificate on Wednesday morning. Poor Il Matrimonio, he was glad to set off south again at last. Jobs to do. He was glad of that. Waiting and wondering is tiring and dispiriting at the best of times. Here he is with his mother, in 1962, aged 9 and in hospital in Singapore. He had broken his arm falling out of a tree. ‘Oh, what have you done now?’ she said. Indeed 🙂 And the physio was agony, he has told me, but look at them smiling, though he still has the scars. Mother and child. 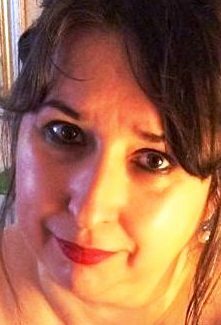 Author Katie-EllenPosted on November 4, 2017 March 10, 2018 Categories cartomancy, psychic development, readings, tarot, The Golden Tarot, Uncategorized, ZodiacTags Timing predictions. TarotLeave a comment on Timing with Tarot. The cards say when …?